Home/Dinosaur and Prehistoric Animal News Stories, Dinosaur Fans, Main Page/The Colour of Dinosaurs? Over the last five years or so, a number of scientists from around the world have been trying to crack a dinosaur-sized puzzle. 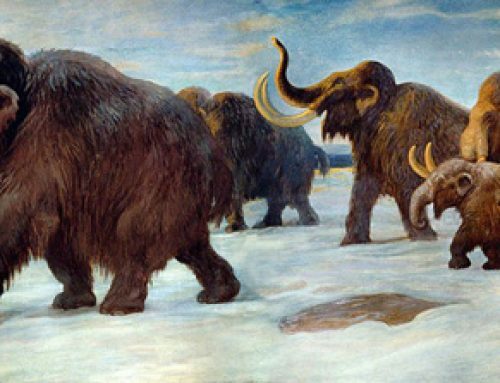 Could fossils preserve some evidence of the colouration of long dead animals? Could palaeontologists and that talented body of palaeoartists that work with them, finally be able to depict a prehistoric animal as it would have looked like in real life? A new paper published in the academic journal “Scientific Reports” moves the debate forwards to some extent. Researchers, led by Johan Lindgren (Lund University, southern Sweden), including graduate students from the aptly named Brown University (Rhode Island, U.S.A) have analysed the fossilised remains of a Middle Jurassic dinosaur and found that the melanosomes preserved within the fossil not only resemble animal pigment structures found today but they also have a very similar, almost identical chemical signature. This study supports the hypothesis and indeed, strengthens it, that scientists can work out the colouration of long extinct animals including feathered dinosaurs. Feathers reveal chemical signatures that supports colour hypothesis. Named and described back in 2009, from fossil material found in Liaoning Province (north-eastern China), this little dinosaur was covered in feathers. It stood about twenty centimetres tall and it had long flight feathers on its forelimbs and hind legs. Three specimens have been described in detail, but there are believed to be many more examples held in private collections. The exact geological age of this very bird-like dinosaur remains controversial. It has proved very difficult to date the lake environment deposits where these fossils have been found. Some palaeontologists have suggested that Anchiornis could be as young as 150 million years old, other scientists have proposed that the fossils date from around ten million years earlier. To read about the scientific description of Anchiornis (A. huxleyi): Older than Archaeopteryx? Colour analysis on the very well preserved second specimen (see picture above), has been carried out before, but this time, as well as finding melanosome structures, the researchers conducted two different kinds of chemical analysis to see if animal eumelanin pigment could be detected. Melanin is a natural pigment found in most animals, there are three main sub-components of melanin, the most common form is the pigment eumelanin. The researchers conducted an ion mass spectrometry test and also an infrared reflectance spectroscopy analysis to discern the chemical signatures of the rod-like structures that have been observed in the fossilised feathers of the dinosaur once the fossil had been subjected to electron microscopy. The team then compared the molecular signatures of the fossil sample to the signature of melanin in living animals. The observed signatures were almost identical. The only small difference in the chemical make-up was attributed to the presence of sulphur in the fossil material. Structures identified under extreme magnification. The hypothesis that the structures which produce the melanin pigmentation, the melanosomes could be preserved in fossils is controversial. Electron microscope studies of a number of feathered dinosaur fossils has revealed strange structures which have been interpreted as melanosomes by some scientists. The shape of these structures providing clues to the colouration of the animal. For example, in the case of Anchiornis, the rod-like, sausage-shaped structures, if they are melanosomes, indicate that this little Chinese dinosaur was mostly covered in dark, probably black feathers. Such conclusions have been hotly debated. Some opponents have argued that the structures observed could be other types of organic residue such as the fossilised remains of microbes. Other scientists have argued that there is a “fossilisation bias” when it comes to the colour spectrum and that melanosomes that give dark pigments may be more likely to survive the fossilisation process than other types, so there is a strong, black bias when it comes to interpreting the colour palette of a long, extinct animal. In essence, what this team has done is to move on the debate. Morphological evidence (structures that look like melanosomes), are no longer the only evidence being put forward to suggest the colour of feathered dinosaurs. There is now chemical evidence to support the theory that melanosomes can be preserved in fossils. In order to help rule out a misinterpretation of the data, the team also analysed the observed spectral signatures of the melanins produced by microbes. The closest match the team achieved was between the fossil material and the signature from extant animal melanin.